We would like to encourage parents to use Infofinder-i to search for their students school and if transportation is provided to school. Please click here and enter your street address only. 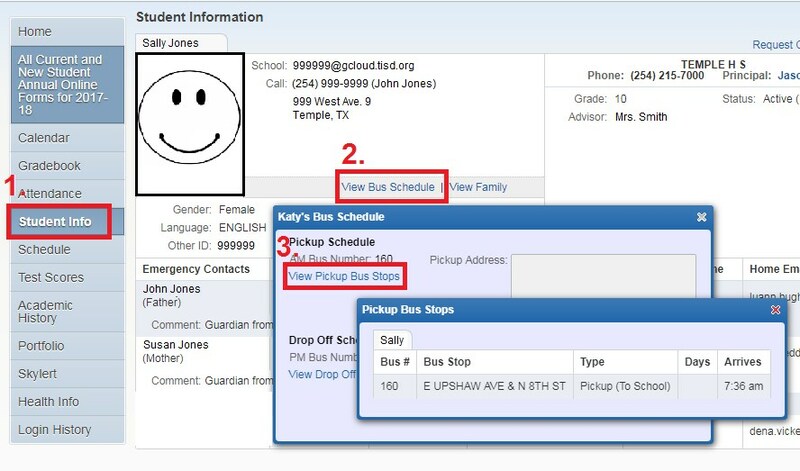 You can also find your child's bus route information in Family Access. You will find the Bus Schedule under 1) Student Info, 2) View Bus Schedule, and 3) View Bus Stops.